A LEAKED police report shows former bullfighter José Ortega Cano was driving too fast and was over the drink-drive limit when he crashed his car killing another driver Carlos Parra. The news comes after Spanish magazine Invervíu leaked a report from the Guardia Civil revealing details of the fatal accident. 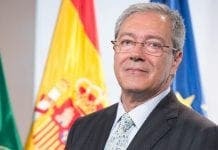 The magazine cites a report concluding that Ortega was travelling at 123 kph in a 90kph zone when the accident took place near Castilblanco de los Arroyos in Sevilla. Furthermore blood tests carried out when he arrived at the hospital showed he had 1.26g of alcohol in his blood. Now the DIA accidents victims association has called on the Sevilla prosecution service to request the maximum sentence for Ortega, who has not yet been questioned by the investigating judge. 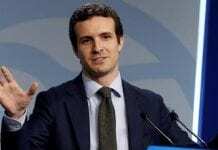 But the report has been called in to question by Ortega’s lawyer Jesus Zapatero. “As you can imagine we are upset because the news was filtered through the press yet the lawyers don’t know anything,” he said. Ortega, who has previously denied that he had been drinking on the night of the crash, is still in a wheelchair and is undergoing daily rehabilitation at his home in Madrid. Well written, factual article. Summary comment of mine: pu this CLEARLY DUI, speeding driver in JAIL & take his driving license away for 5 years, for Manslaughter. Frankly, I DO NOT CARE if he’s “in a wheel chair”..
Olive Press – please report on status/outcome of this. Too often the “Law” is effected by aristocratic status of perp. com on ! Lets wait for a verdict ….. but then we are in Spain ……..